Julia Levin’s presentation at the Southern California Gas Company conference on renewable gas. Julia Levin’s presentation on the role of bioenergy in helping to reduce wildfire and restore more resilient forests. Julia Levin’s presentation to the California State Association of Counties. BAC was honored to have great guest speakers at its annual reception in March. To see their presentations, click on the links below. Presentation by Jim McKinney, Clean Fuels Program Manager, California Energy Commission, to BAC’s Board on September 23, 2014. The eighth annual California Bioresources Alliance Symposium was held September 18-19, 2013. CPUC Commissioner Carla Peterman gave the keynote on the future of bioenergy, and the opening session focused on recent California legislation addressing bioresources. Other sessions included an update on the Bioenergy Action Plan, biogas challenges faced by wastewater treatment plants, the federal/state dairy digester initiative and dairy clustering, forestry products and urban residuals options, facility siting issues, and use of bioresources for mine reclamation. Website with links to presentations from The California Wastewater Biogas Technology Summit held on February 7th, 2013. 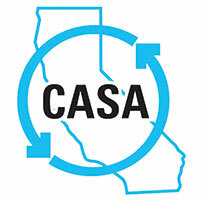 The forum was organized and sponsored by CASA, CPUC, US EPA Region 9, Cal EPA, SCAP, SCAQMD, CEC, UC Davis and others. The forum was held at the South Coast AQMD offices in Diamond Bar. The forum was attended by more than 100 people in person plus numerous others via a webcast. Presentations from the December 2012 meeting of the Advisory Committee of the Alternative and Renewable Fuel and Vehicle Technology Program. Program status update by Jim McKinney, including a summary of major award types and future funding opportunities. To date, Energy Commission has allocated more than $450 million to funding categories, and awarded more than $300 million among 150 projects. Also presentation on 2013-2014 Investment Plan Update.